← The smokescreen of science. Homosexuality in Uganda. In January 2013 I moved to Uganda with no job. Why? To be with my fiance who was volunteering with VSO. Within VSO I had the official title of ‘accompanying partner’. This is an article that I wrote for the VSO blog about what life is like for an accompanying partner. Sat on a fold-down seat I felt the flow of night air leaking in through rust holes of the dilapidated bus that had come to pick us up from the airport. The bus jerked forward with every change of gear as we made our way through the still busy streets of Kampala in the early hours of the morning. Sat with a dozen VSO volunteers from around the world including the UK, America, and the Philippines, I joined in the slightly constrained conversation as everyone simultaneously tried to chat to other new volunteers, take in their new surroundings and also contextualise the myriad of thoughts and feelings that rushed through their heads. For me, as an accompanying partner opposed to a VSO volunteer, I was the exception on the bus. I was the only one without something lined up, a structure to fit into, and a sense of knowing what was going to follow. But, just like the other volunteers, I had the support of the astonishingly well organised VSO Uganda office. Taking part, and being made to feel part of, the first week’s in-country training was incredibly important to me. As an accompanying partner I was specifically invited to take part in all the sessions and to feel part of the ‘VSO family’. It meant that for the first week I had structure, a formal and informal support network, and also a chance to ask all those questions that had been queuing up in my mind: How much is the bus into the centre of town? What should I say if someone asked me what my views were on issues around religion, sexuality or politics? How do I greet someone in Luganda and how many people in Kampala use Luganda as their first language? Even though I didn’t have a volunteer placement lined up, I did have a plan for what I wanted to do in Kampala – and that was to find a job. As such, in the following days and weeks after the in-country training I used the little Luganda I had attained already to charm my way past bored looking security guards into different offices of NGOs to leave my CV and covering letters with receptionists. Those early days of walking Kampala’s dusty streets were a real learning curve for me. Coming from working in the Middle-East I had to unlearn the reserved habits I had picked up and learn to embrace the Ugandan enthusiasm, friendliness and passion for life. In retrospect I am pleased that I had those couple of weeks to get to know the city that would become my home in my own time. Just over 5 weeks later I was invited for an interview at the African Palliative Care Association. The role was to become their Communications Officer which included editing the online health news website, ehospice. Just 6 weeks after arriving in country I started work in their office just a few kilometres from our new house. Everything very quickly seemed to slot into place and my previous life in the Middle-East and London seemed a long time ago. With the small matter of the job sorted, this enabled me to spend more time looking into the rest of life in Uganda. Very quickly Anya and I joined the Mountain Club of Uganda and headed out into the mind blowing countryside that Uganda has on offer. In the last year we have visited Uganda’s many national parks to spot the big game, learnt to kayak on the rapids of the river Nile and explored some of the highest peaks the region has to offer. Uganda has so much to offer and Anya and I have every intention to explore as much of it as we can in our remaining time here. (See our blogs to see more of our travels). Thinking back to that bus journey from the airport with all the new VSO volunteers seems strange now. The strangers that I was talking to have become close friends and in some cases almost like family. The streets that flashed past the window have now become my home and I don’t even notice the rickety old buses that lurch around Kampala’s congested city streets. Steve blogs at www.stevehynd.com and tweets at @steve4319. VSO welcomes applications from couples wanting to volunteer together, however we respond to demand from overseas partner organisations and it is rare to receive a request for two volunteers for the same location at the same time that will match both of your skills. If it is not possible for both people to volunteer with us, the other option is for one person to volunteer (it could be either of you) and for the other to go along as an accompanying partner. This is fairly common and it is usually possible for the accompanying partner to find paid or voluntary work when they are in country. In this case we would only cover the costs of the VSO volunteer, but we would do our best to ensure things like accommodation are suitable for two people. Find out more about volunteering abroad with VSO. 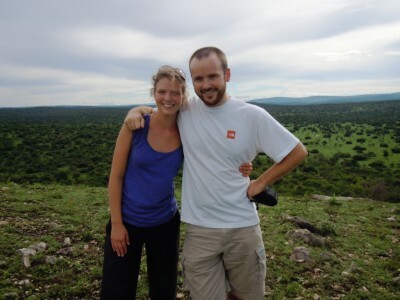 Great story Steve, welcome to Uganda – wish I could meet you and your partner when I come home from my placement.